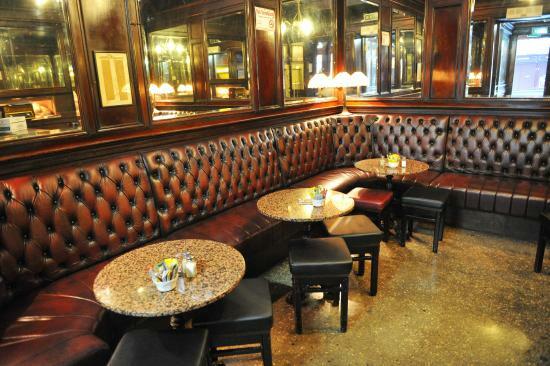 THE TOP PUBS were crowned at the National Hospitality Awards yesterday, and one of Dublin’s finest pubs came out on top. The Stag’s Head won the prize for best overall pub in Ireland, with Toner’s taking Best Traditional Pub, and The Back Page winning Best Sporting Pub. The Vintage Cocktail Club won the best cocktail bar, with The Wright Venue taking Best Nightclub. The rest of the winners can be seen here. But back to The Stag’s Head. We can see why it won. Email “The Stag's Head has been named the best pub in Ireland”. Feedback on “The Stag's Head has been named the best pub in Ireland”.